Every year, hundreds of university graduates in English go to the job market in Nepal. A few of them are involved in foreign affairs, civil services, mass media, tourism, business etc., but the majority of them are involved in teaching English at colleges and campuses. They start their teaching career without special kind of orientation or specific training. Therefore, they are not well-prepared to cope up with many challenges related to teaching and learning they encounter in course of fulfilling their duties and responsibilities as teachers. This tradition seems to be one of the reasons why novice teachers do what their teachers used to do when they were students, instead of thinking what activities or practices best befit in their contexts, how they can support their learners etc. Many teachers working in under-resourced areas unknowingly deteriorate their knowledge and skills year by year, because they hardly ever get opportunities to keep their knowledge abreast and hone their skills. Nor can they share their problems and pitfalls with other colleagues so that they can collaboratively find alternative solutions of their pressing problems. In this scenario, NELTA Chourati as its name implies in Nepali is a common platform where teacher, trainers, teacher educators, mentors, etc. can come together in this virtual space and grow themselves helping tyros grow. With this belief, I have included almost all write-ups of those colleagues who have just started to teach English or who are to start soon. I hope all the viewers of these posts will leave their constructive comments so that the ones who have written these posts will get insights and inspirations of improving their writing in the days to come. This issue contains five write-ups. 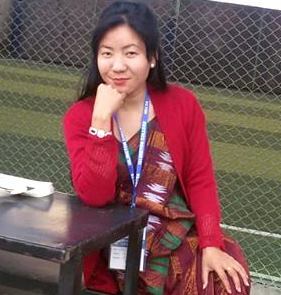 The first entry is of Binod Luitel, Associate Professor at TU, who has been undertaking an action research project at Surkhet Campus (Education), Surkhet and Mahendra Ratna Campus Tahachal on how learners’ vocabulary achievement and reading skills can be developed. In this post, he discusses the learner hierarchy in terms of their proficiency level over English. He asks five thought provoking questions related to the topic in question. The second post is of Vishnu Kumar Khadka, who raises issues of teaching and testing listening and speaking skills in SLC examination. In the third post, Ashok Raj Khati shares the strategies which he found to be very useful while he was teaching. In another post, Resham Bista critically argues that teaching and learning is not confined to language, but also with the policies and politics of the western countries. Last but by no means least, Maheshwor Rijal shares his experiences and process of academic writing with a particular focus on writing thesis. We hope you enjoy reading the posts in this issues.